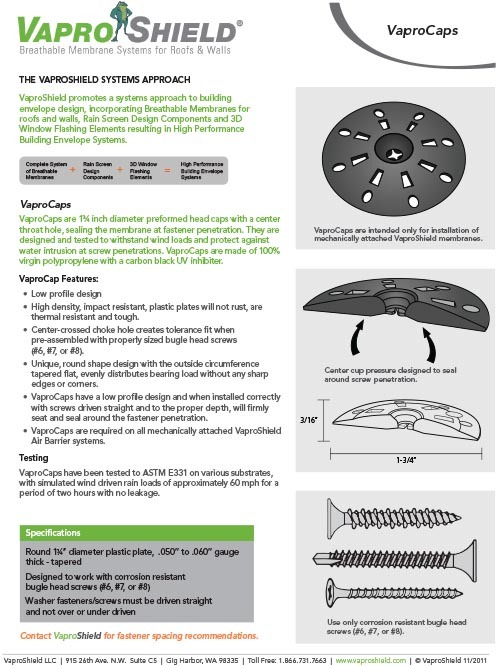 VaproCaps are 1¾ inch diameter preformed head caps with a center throat hole, sealing the membrane at fastener penetration. They are designed and tested to withstand wind loads and protect against water intrusion at screw penetrations.  VaproCaps are made of 100% virgin polypropylene with a carbon black UV inhibiter. • VaproCaps have a low profile design and when installed correctly with screws driven straight and to the proper depth, will firmly seat and seal around the fastener penetration. • High density, impact resistant, plastic plates will not rust, are thermal resistant and tough. • Center-crossed choke hole creates tolerance fit when pre-assembled with properly sized bugle head screws (#6, #7, or #8). • Unique, round shape design with the outside circumference tapered flat, evenly distributes bearing load without any sharp edges or corners. • VaproCaps are required on all mechanically attached VaproShield Air Barrier systems except WrapShield RS Rain Screen.